This book gets a bit more gruesome and strange than the first one, but somehow is also even funnier. It also reads better as a single story than the first one, which seemed more like several short stories put together. If you read the first book, that is probably all you need to know. If you haven't read the first one, start there, because this one picks up from the end of that one and you'll be completely lost without it. 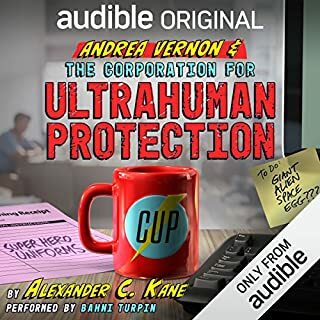 The narrator is absolutely perfect. even better than the first book!!! This is a great little gem. It is entertaining and a neat twist on a classic and well-known story. 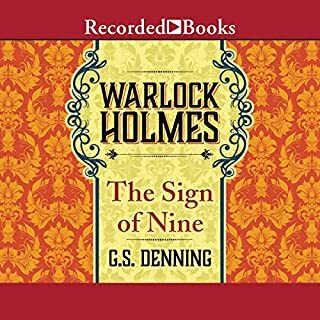 If you love strange and unusual, then Warlock Holmes will deliver! It makes fun of itself at times and is never too serious! Also check out the Warlock Holmes: A Study in Brimstone! more Warlock goodness. Our hero continues to retell the old Holmes stories with a new twist. if this is your first one of these, go back and read the first one. 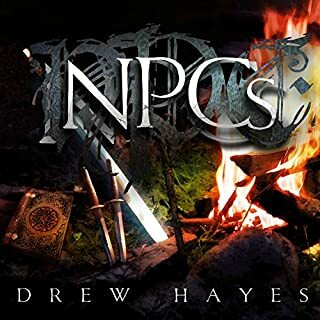 This one is a stand alone novel, but you'll get more out of it reading them in order. 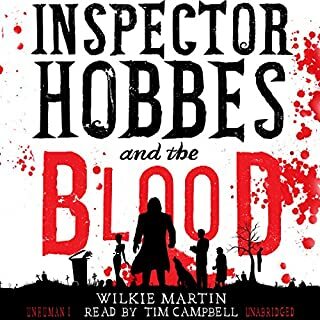 having listened to the first in the series and this one I found the first to be a little bit more enjoyable a little bit more satirical and a nicer parody to the Sherlock Holmes series however this was not bad it just wasn't quite as witty as the first one. I hope if there is a third one in the works that hits will be more like the first in the series . This one fell short certain areas and it felt a little flat too. Book 2 as entertaining as the first! If you enjoyed the first one, you'll enjoy this one as well. You also get the bonus of delving into Warlock's past, which makes a bit of sense out of a lot of the weirdness that tends to go on. Looking forward to the next one! 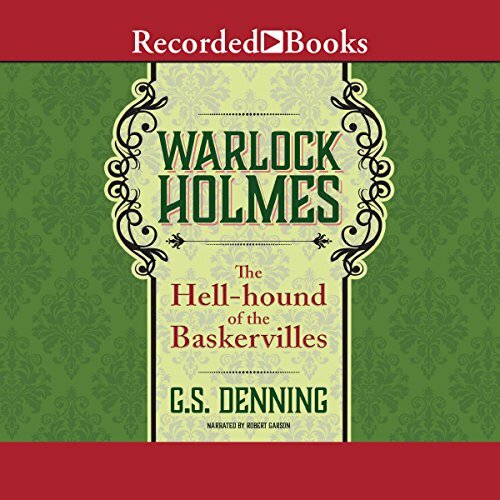 Would you listen to Warlock Holmes: The Hell-Hound of the Baskervilles again? Why? Oh yes!! I see Warlock Holmes as my new "go to" if I just need a good giggle! I don't know if reading this as a physical book would have the same effect. Its a GREAT story line but the narrator steals the day and really makes the story shine! What does Robert Garson bring to the story that you wouldn’t experience if you just read the book? When I die, I want this man to narrate my autobiography! His dry sarcastic British accent brings this book to life! Watson has always been described as a put out genius having to deal with the simpleton Holmes. Garson embodies Watson and drives home idiocy of Holmes and the cracked patience of Watson! I laughed til I cried over the horses! I even replayed the part about the murder weapon appearing point first in Warlocks hand for my husband after he came in to find out why I was "snorfuling" (laughing/snorting/chortling whole heartedly) in bed. I NEED MORE!!! Of BOTH of these men! I want to find them, kidnap them and make them tell me stories all day long! I want to live with Holmes and Watson and bask in their adventures! The story is so quirky, creative and engaging I was 100% in while listening! There were many times I laughed out loud and even had my husband listen to a part because I thought it was so fantastic. 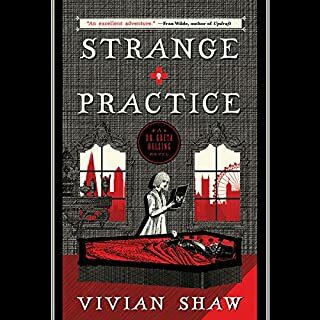 We are huge Sherlock Holmes fans and this novel held onto just enough of the original to now make me a huge Warlock Holmes fan! 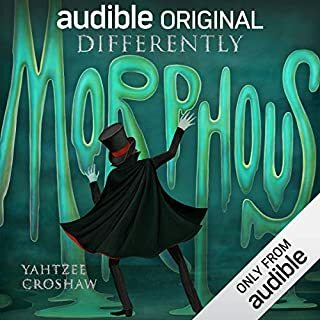 Please please keep the series going and keep, at all costs, the narrator because he gave each character their absolutely fantastic personalities. It would not have been the same without him.